An analysis of Vietnam-era veterans, found that those with alcohol dependence in young adulthood had on average, three medical conditions by the time they reached 60. 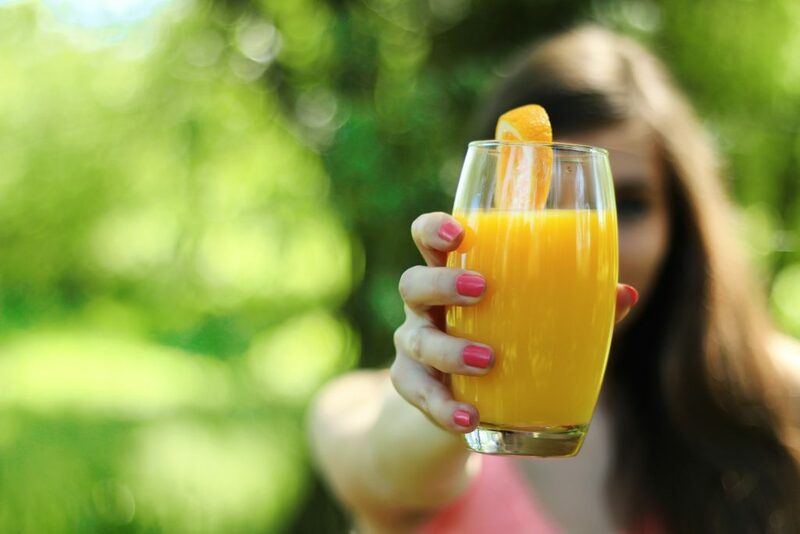 Further research also found that young adults who drank for 5 or more years showed both physical and mental health decline once they reached their 60’s . 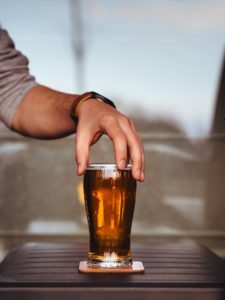 In a study of over 600 male veterans through the Palo Alto Veterans Affairs Health Care System, found that among those studies, that those who were current drinkers, and even those who were former drinkers and had been alcohol free for decades (quit by age 30) found higher rates of medical conditions than those who were not alcohol dependence . Alcohol use disorder (AUD) is defined as a medical condition where a person’s drinking causes distress or harm. It includes both the diagnosis of alcohol abuse and alcohol dependence. Binge drinking is defined as a pattern of drinking that brings blood alcohol concentration (BAC) levels of 0.08 g/dL. This typically occurs after 4 drinks for women and 5 for men in approximately 2 hours. Heavy drinking is defined as having 5 or more drinks in one day or event for 5 or more days within the past 30 days . Heavy drinking in pre-teen and adolescence can damage parts of the brain responsible for self control and decision making. This may lead to individuals engaging in further alcohol and/or drug use. By the time persons reach the eighth grade, nearly 50 percent of adolescents report having had at least one drink, and over 20% report having been “drunk”. Approximately 20% of 8th graders and almost 50% of 12th graders have consumed alcohol within the past 30 days. Among 12th graders, almost 30% report drinking on 3 or more occasions per month. 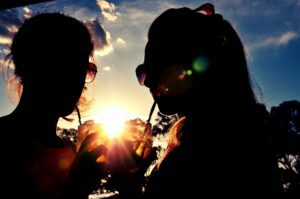 Approximately 30% of 12th graders engage in heavy episodic drinking, now popularly termed “binge” drinking (defined as having at least five or more drinks on one occasion within the past 2 weeks) and it is estimated that 20% do so on more than one occasion . During late childhood and adolescence, significant changes occur both internally and externally. Many changes occur in the body and brain, including rapid hormonal changes and formation of new neural networks in the brain. Many teens will also experience new situations and activities that may put them at risk for alcohol consumption. Ingesting alcohol at this young age can interrupt key processes of brain development and may lead to cognitive impairments as well as increased drinking at at-risk behaviors. According to a study by Brown and colleagues, they evaluated short-term memory skills in alcohol-dependence and nondependent teens from ages 15-16. The teens that were alcohol dependent had great difficulty remembering words and simple geometric designs after a 10-minute interval. Alcohol use use by youth can also experience social issues such as higher aggressiveness, and lack of participation in peer activities; legal issues; unplanned, unwanted, or unprotected sexual activity; physical and/or sexual assault; and higher risk for suicide and/or homicide . Even with declined alcohol use after early adulthood, alcohol induced brain damage can continue. Adolescents who drink at an earlier age have smaller hippocampal volumes compared to those who began drinking later, which is responsible for memory and learning. Alcohol can also prevent teens from growing to full size, due to heaving drinking leading to stunted muscle and bone growth. Alcohol can also interfere with a teens ability to form new and lasting as well as explicit memories of facts and events. Alcohol can also have toxic effects of the myelination process in adolescents which helps stabilize and speed brain processes which with alcohol abuse are disrupted and can lead to cognitive deficiencies. The chemical properties of alcohol can immediately interfere with optimal brain function and can keep teens from advancing to more complex states of thinking and social interaction. Adolescents with alcohol use disorders often tend to perform worse on memory tests and show diminished abilities to plan . The liver suffers the most damage from prolonged alcohol use. Fatty liver, which is the accumulation of fat in the liver, can slow liver function. Alcoholic hepatitis, another type of liver concern, is where the liver cells swell and can cause blockage and can be fatal. Cirrhosis which is a heavy scarring of the liver will prevent blood flow and is also fatal. Other health issues later in life can include heart disease, pancreas damage, hypertension, enlarged heart, coronary heart disease, stroke, and bone damage. Older adults who were heavy drinkers can also suffer from severe back pain, spine deformity, and increased risk of wrist and hip fractures. Lower cognitive function and destruction of brain cells as well as mental disorders are associated with heavy drinking at a young age . According to the CDC it is recommended that those under the age of 21 who are pregnant (or may be pregnant), planning to drive, or engage in activities that require skill or coordination or taking medications that are not to be mixed with alcohol should not drink alcohol . Increased risk of cancers, brain and mental decline, pancreatitis issues, and increased probability for alcohol dependence and use later in life are all potential consequences for alcohol use in pre-teen and adolescents. It is important to provide awareness and education on the short and long term effects of alcohol use in elementary and high school populations. It is clear that individuals lives can improve both physically, mentally, and socially when heavy drinking is stopped, however studies do show evidence that both the body and brain are affected by heavy drinking at a young age. What is unclear is how long the effects are on the brain and body. If someone you know, or you yourself is suffering from alcohol dependence or abuse, please visit the below resources for help. Does learning about long term potential consequences change your alcohol use behaviors?